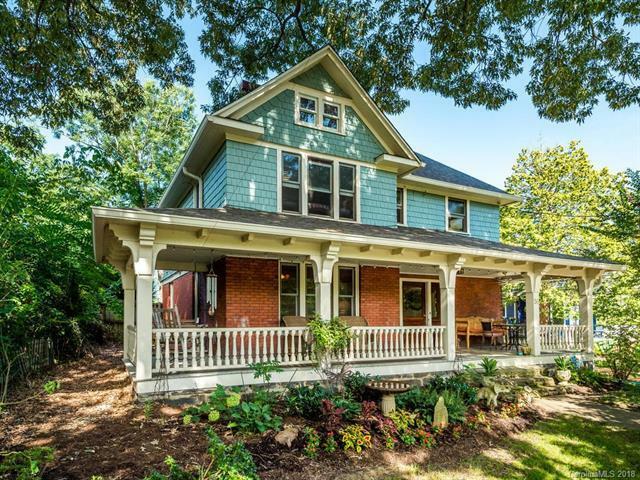 56 Pearson Drive, Asheville, NC 28801 (#3417627) :: Caulder Realty and Land Co.
Beautiful Queen Anne designed by Richard Sharpe Smith and built in Montford's Historic District by its original owner, Charlie Lominac, a skilled Biltmore carpenter. 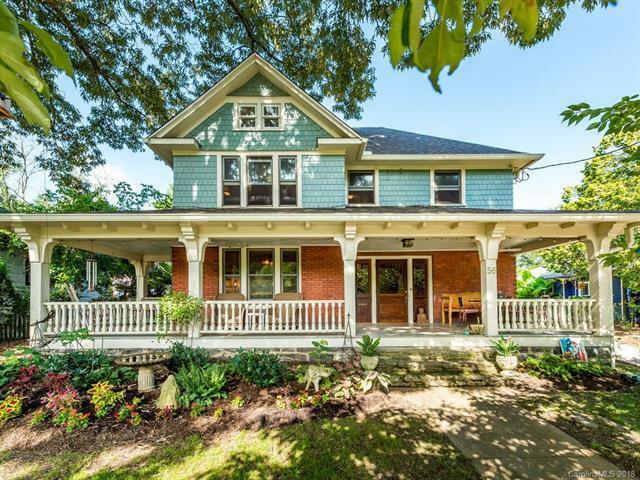 Clean craftsman lines are graced with cedar shake, brick, and intricate wood moldings that will melt your heart. 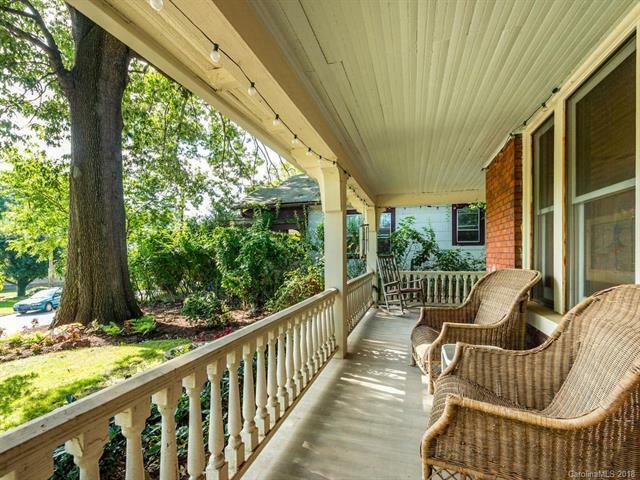 A gorgeous porch wraps this home and its people in comfort and style. An award winning black walnut entry invites guests into the grand foyer cased in warm wood including custom milled oak leaf newel posts on the staircase. 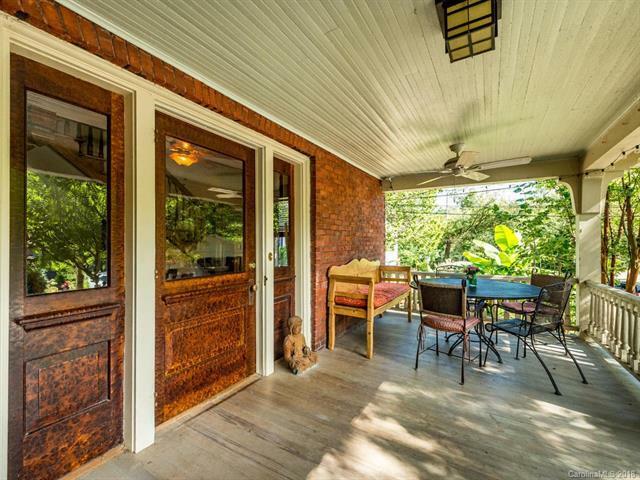 Original french doors open to the parlor with a captivating fireplace and custom mantel. Formal dining with fireplace flanked by built-ins and updated kitchen that opens to a perfect flat back-yard with an outdoor shower! This home lives well with energy-efficient wood windows, updated boiler, brand new roof, and fresh paint. Upstairs boasts 4 bedrooms, an office with separate entry, flex space, and an awesome private attic-suite. Existing garage footprint offers potential for guest quarters.